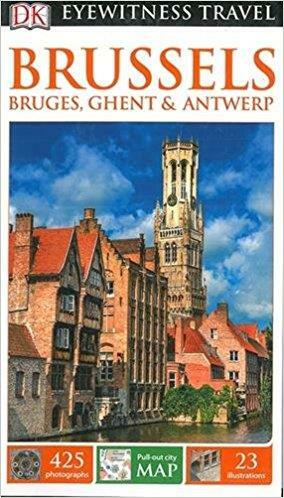 Explore Belgium's most charming cities and towns with the DK Eyewitness Travel Guide Brussels, Bruges, Ghent & Antwerp. Packed with fantastic photography, illustrations and detailed descriptions, this guide is the perfect companion on your trip to Belgium. Looking for things to do travel in Brussels? Visit the Grand Place, home to one of the best European Christmas markets, check out Belgium's comic book heroes, including Tintin, at the Comics Art Museum or relax with a Belgian waffle or glass of lambic beer at one of the city's cosmopolitan cafés. Beyond the capital, explore Bruges, a picture-perfect fairy-tale town; catch-up on what's cool in cultural Antwerp; and marvel at one of northern Europe's greatest treasures, the Adoration of the Mystic Lamb, in Ghent.